It should be no surprise that OEC is filled with creative and talented people. Our work has helped show off many great works of art. For Artists At Work, not only did we design, edit, and produce the graphics for the exhibition, but we also had a chance to celebrate three of our own artists and the artwork they make on their own time. 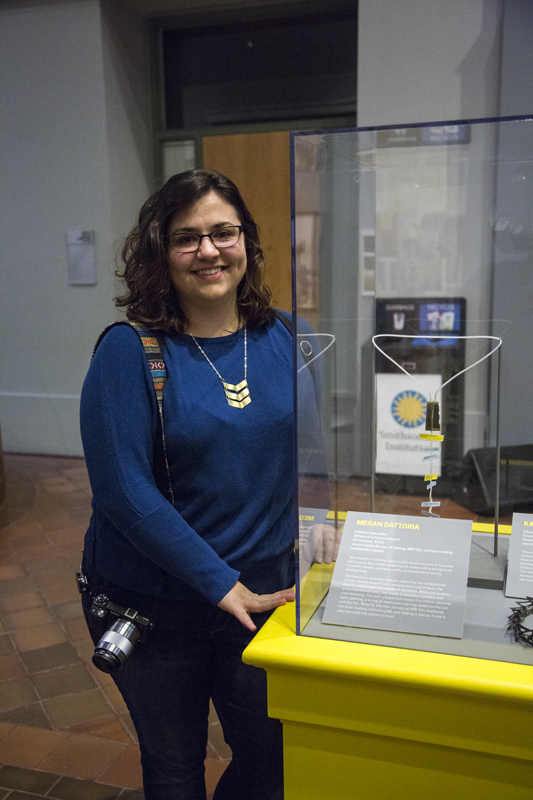 Model maker Megan Dattoria, graphics specialist Kate Fleming, and sculptor and model shop supervisor Lora Moran-Collins were among the 56 artists featured in the Smithsonian Community Committee’s fourth juried staff art show. Megan Dattoria stands next to her mixed media necklace, Of Disease. She also made the mount to display her piece. 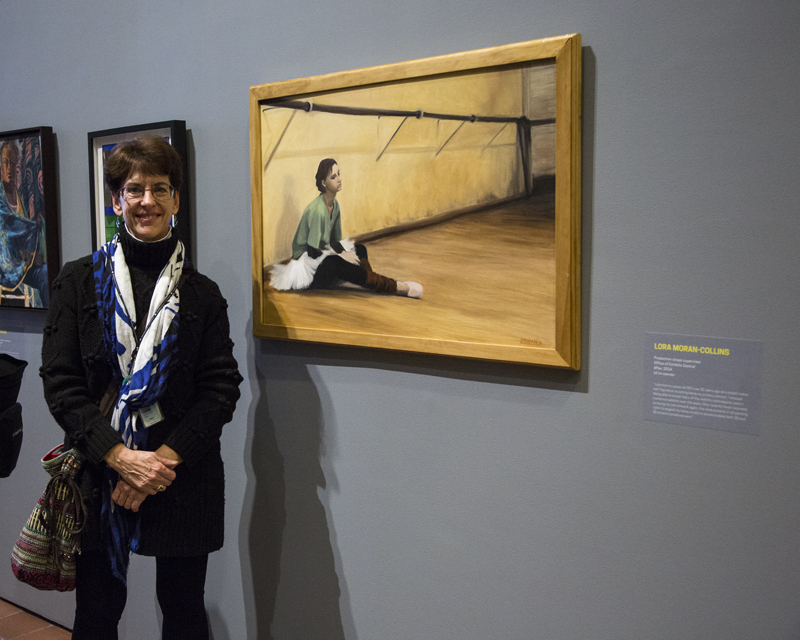 Kate Fleming served double duty on this exhibition. 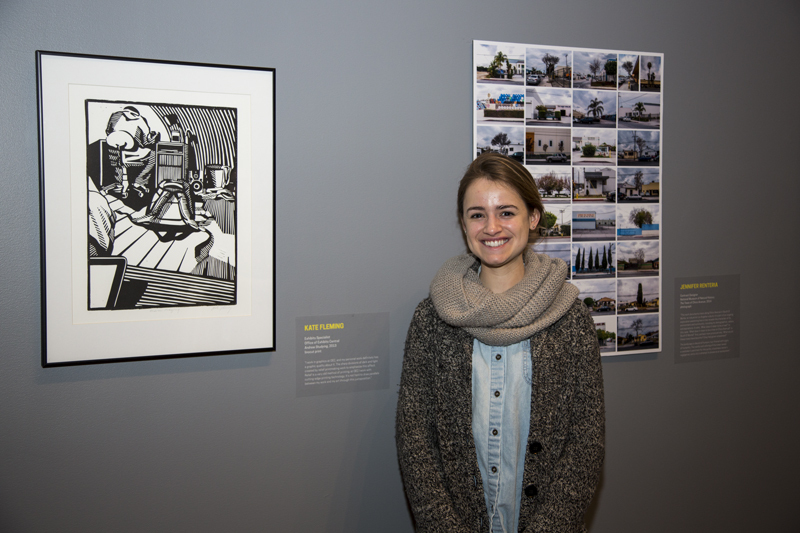 As a graphic specialist, she made the labels for all of the artwork on display… including the label for her own print, Andrew Studying. Lora Moran-Collins, who makes models and sculptures at OEC, is also a gifted painter. Her painting, After, is oil on canvas. The OEC Artists At Work team attended the opening reception in February. 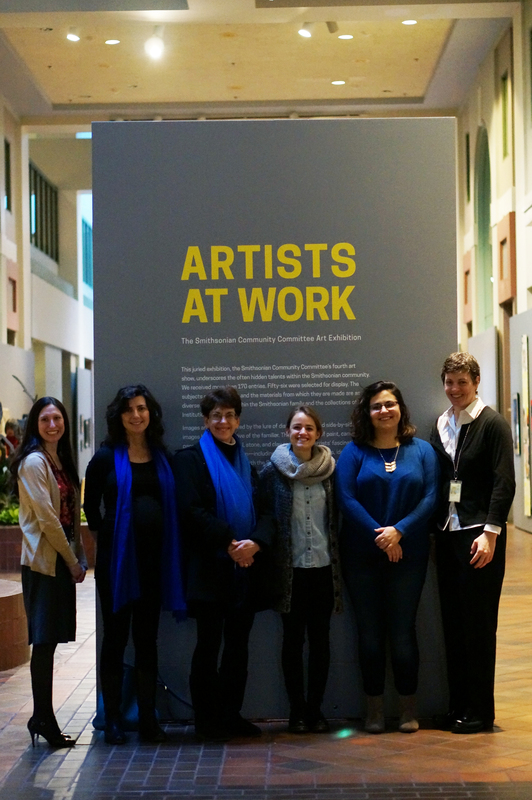 From left to right: editor Brigid Laurie, exhibit designer Emily Sloat Shaw, Lora Moran-Collins, Kate Fleming, Megan Dattoria, and project manager Betsy Robinson. Artists At Work is open through May 1, 2015 at the S. Dillon Ripley Center.